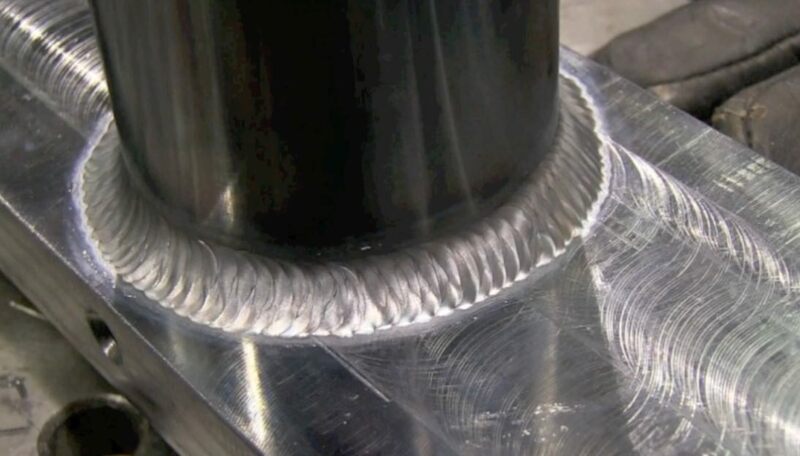 The "walking the cup" technique primarily used for pipe welding but there are definitely a few other applications where being able to walk the cup can make for a better looking weld. When you walk the cup, there are basically 2 variations. or when the cup is rested on the outside of a pipe or on a flat surface . When the cup is inside a groove on inside the 2 members of a fillet weld, the torch handle is just slightly rotated back and forth with very light pressure on the cup. When the cup turns it moves along at an even progression provide a very uniform rate of travel speed. But when the cup has no groove to rest in, a different technique is used that is akin to walking a 55 gallon drum across a shop floor. 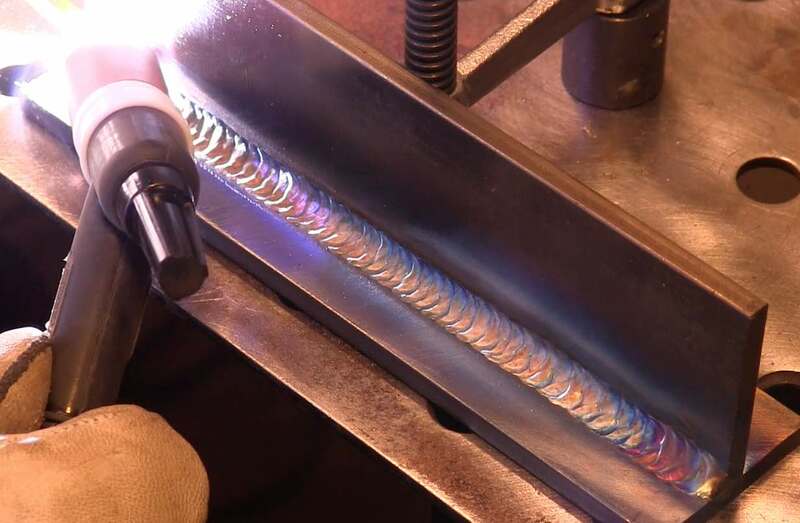 Walking the cup is a very popular tig welding technique for pipe welding because there is no issue with propping hands or fingers on hot metal, and because it allows for such an even rate of progression. 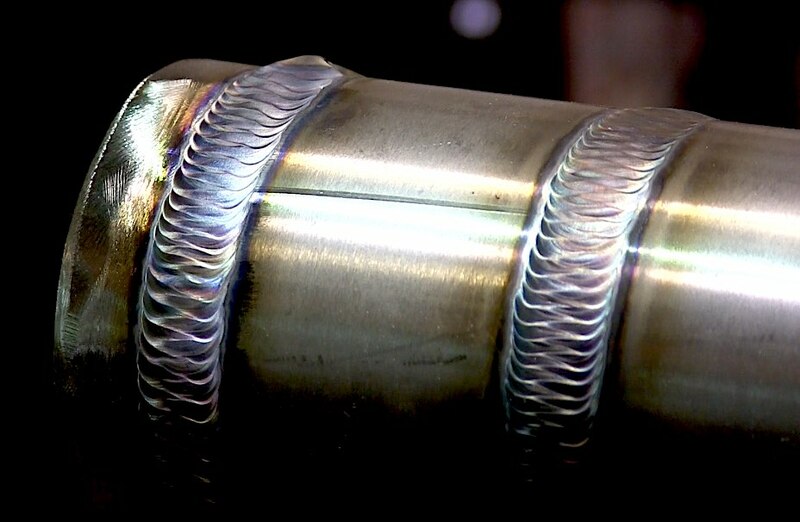 And a proficient pipe welder who can walk the cup can crank out quality welds fast. There are lots of jobs that just do not lend themselves to this technique. One example is on machined parts that have a smooth finish. I have done quite a lot of welding work for machine job shops and I can tell you that they do not appreciate the scratches that ceramic cups leave behind. And even though walking the cup works great on pipe, once you get to 2 inch pipe and under, it starts to make sense to freehand. Once you get down to one inch and under, freehand works better for most welders. And when you use the freehand technique, a tig finger will be your best friend in letting you prop on hot metal. Notice that I had to freehand the first portion of the plate weld. that is the issue when you try to walk the cup on flat parts. There is always an end where there is no place to rest the cup. But once you get past that, it works great and can be a great technique.